← People To People Global Radio Starts Tonight! 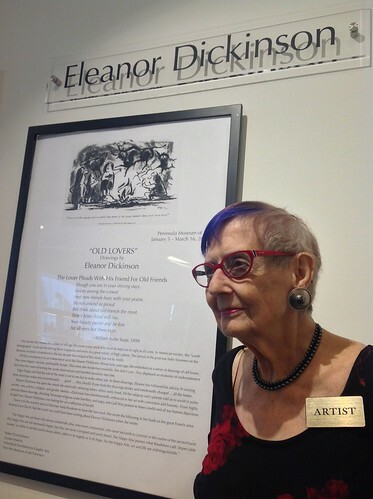 Eleanor Creekmore Dickinson has a new art exhibit called “Old Lovers” at the Peninsula Museum of Art (1777 California Drive, Burlingame, California), 5 January – 16 March 2014. 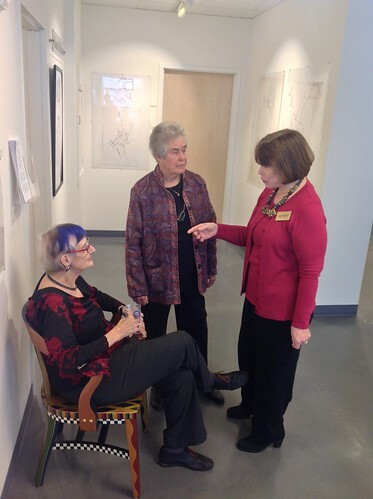 The opening reception was yesterday – with many colleagues, friends, and family attending. 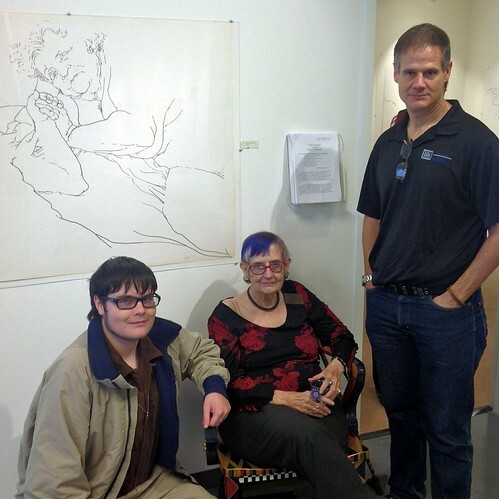 Love between older people has been a favorite subject of my mother’s large-format drawings on paper over many decades, and this is her second exhibit dedicated to that theme. 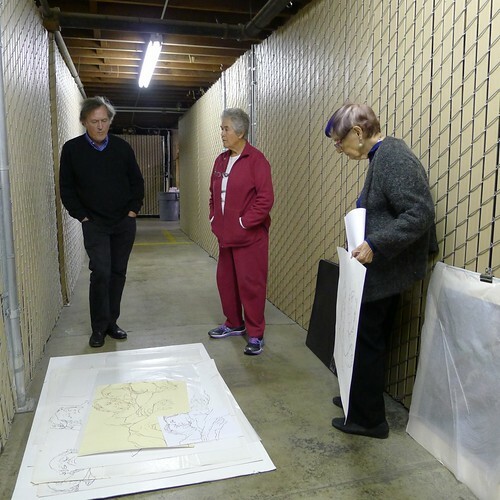 This show was curated by Robert Flynn Johnson (Curator Emeritus, Achenbach Foundation for Graphic Arts, Fine Arts Museums of San Francisco) and created by Ruth Waters (Founder, Chair and Executive Director, Peninsula Museum of Art). My brother Pete and I worked with Ruth and Robert for many months to support their development of this interesting exhibit. 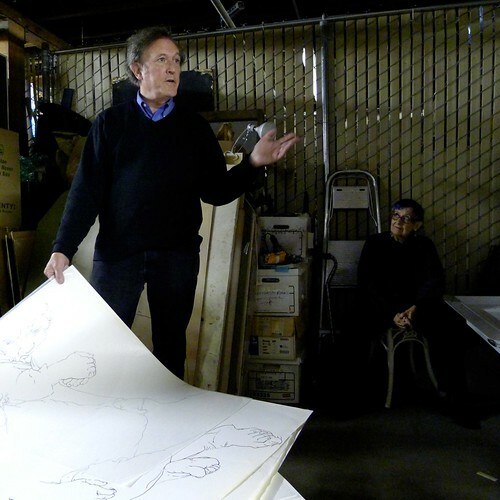 In the photos below, you can see how the drawings to be included were picked last year. I was on a business trip, so John and Paul went to the reception yesterday and took many pictures.